This article first appeared in Izvestia in March of 2015. 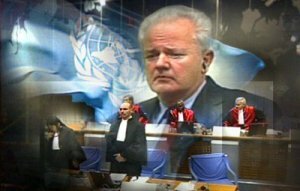 On March 11, 2006, President Slobodan Milosevic died in a NATO prison. No one has been held accountable for his death. In the 10 years since the end of his lonely struggle to defend himself and his country against the false charges invented by the NATO powers, the only country to demand a public inquiry into the circumstances of his death came from Russia when Foreign Minister, Serge Lavrov, stated that Russia did not accept the Hague tribunal’s denial of responsibility and demanded that an impartial and international investigation be conducted. Instead, The NATO tribunal made its own investigation, known as the Parker Report, and as expected, exonerated itself from all blame.